In one of his first tweets of the year, US President Donald Trump launched a tirade against Pakistan. ‘The United States has foolishly given Pakistan more than 33 billion dollars in aid over the last 15 years’, Trump fumed, ‘and they have given us nothing but lies & deceit’. Washington has complained about Pakistan before, but Trump substantiated it with a full freeze of US aid – a move long coming that has somehow taken Pakistan by a surprise. Pakistan has protested, reminding the US of the sacrifices the country has made as a front in the war on terror. But the question remains: will the new aid freeze change Pakistan’s behaviour on tolerating and in some cases supporting terrorism in the region. 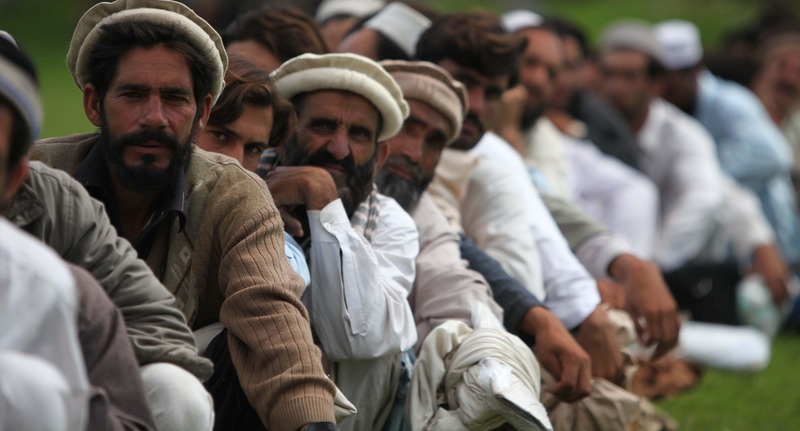 Most Washington experts wrongly believe the aid freeze is unlikely to change Pakistan’s behaviour. The US aid cuts, and even the talk of it, has already had a huge impact in terms of the perception of the US in the country, Pakistan’s interest to work with the US, domestic stability of Pakistan, and the regional power equation. Some of these trends work in favour of Washington, and others go against. The ‘do more’ demands have clearly alienated even the liberal and pro-American segment of Pakistan. But the US is unlikely to have an interest to win hearts or minds of the Pakistani citizens. Past approaches have sought to align Pakistan’s national security policies with those of the US, with the knowledge Pakistan’s highly authoritarian political and military elite make the state policies undeterred by public opinion or will. The dependence of Pakistan’s political and military leadership on the US is less national and more personal and institutional – an important point that the US fully understands. The Pakistan military requires American training, equipment and partnership no matter what might be said. The civilian political leadership on the other hand require the US blessing to ensure its domestic survival against a powerful military. While the political and military elite might be annoyed at America, the stakes are too high. They will look to get relations back to normal at the earliest. There is also an idea that the growing influence of China means Pakistan has little motivation to pay heed to the American threats, reducing US leverage. This is wishful thinking, fuelled by newspaper headlines and government’s press releases. Pakistan’s political and military leadership is not only wary but increasingly concerned with the Chinese way of business, particularly with the experience of the China Pakistan Economic Corridor (CPEC). It is noteworthy that it is not China where Pakistan’s political and military elite visit for routine medical check-ups or children’s graduation ceremonies, a strong indicator of China’s lack of soft power with one of its closest ally. If not for desperate circumstances, Pakistan would probably not have signed up for CPEC, given the crude terms and conditions involved. The US aid freeze to Pakistan is likely to further push Pakistan towards China, yet still not to a point where it would end its cooperation with the US. Washington will remain a preferred ally. If a decade of humiliation by the US hasn’t forced Pakistan to cut back on its cooperation, it is highly unlikely that a little more humiliation under Trump would change anything. In the US–Pakistan spat, however, it would be China that will eventually win. Given that more desperate and isolated Pakistan is under the US pressure, less of leverage it has with China and more likely it will succumb to China’s growing influence. Our bosses used to smile and say nothing when the Americans asked if we controlled Haqqani’s, that left Americans in an awe and obsession over Pakistan’s all-powerful ISI. The truth is, ISI is as weak and under resourced as any other Pakistani government department. Pakistan has become a victim of its own web of lies that it can neither confess nor deny. ‘Damned if you do, and damned if you don’t,’ is how another former ISI chief that I interviewed explained the situation. Should the US be frustrated? Yes. Should the US cut its aid to Pakistan? Probably. But will it help the US? Probably not. As for Pakistan’s political and military elite, any relation with the US is better than none. Despite all the heat and emotion, things will settle back to normal. They always do.